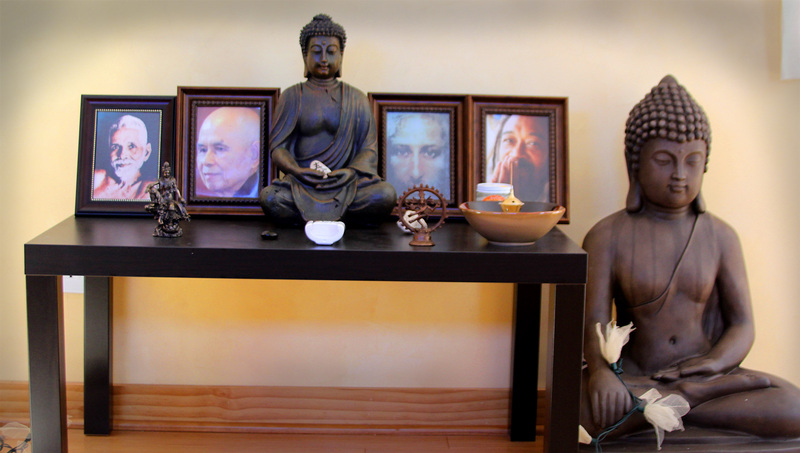 The Sedona Zendo of the Awakened Heart is a place of peace and refuge in the very center of West Sedona. It is like stepping into another world. The energy of peace and presence is palpable here. You can feel it as soon as you walk through the door or pass through the gate into the Zen garden. It is as if all the spiritual energy of Sedona has somehow been focused here to create an oasis of peace. This is a timeless place. Because it is a place of deep peace and we would like to keep it that way, there are certain rules for those who visit here. This is true of any spiritual center, zendo, ashram or monastery. And the rules here are pretty similar. 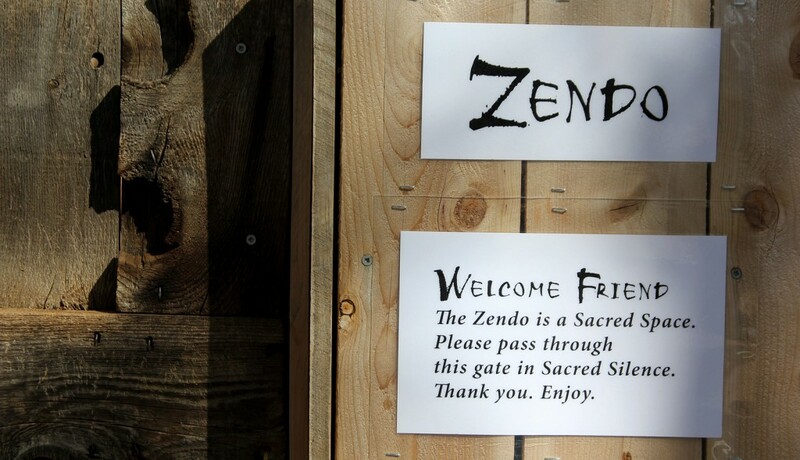 The Zendo only accepts visitors during certain times. Please make an appointment to visit. You can call Peter at 617-718-1753 to set up an appointment. Please honor silence here. There is no talking except during classes, workshops and private teaching and mentoring. Please turn off your cell phone while you are visiting. This is a place for you to experience the deep peace and freedom of your awakened heart. Inner and outer silence is your doorway. Intoxicants like drugs and alcohol interfere with this aware presence. Please do not visit if you have used any intoxicants over the last twenty-four hours. As you can see from my alter, many different traditions are represented. Buddha is joined with Jesus, Ramana Maharshi, Mooji, Shiva, Thich Nhat Hanh and the many teachers and traditions that are here but not seen physically. In the Sedona Zendo of the Awakened Heart all spiritual traditions are welcome. And all are seen as one. Here is where we discover the Source of all traditions. Of course this is not meant to change your tradition in any way. It simply points to the commonality of all traditions. All paths lead to a single Source. This you must discover on your own through whatever path is right for you. 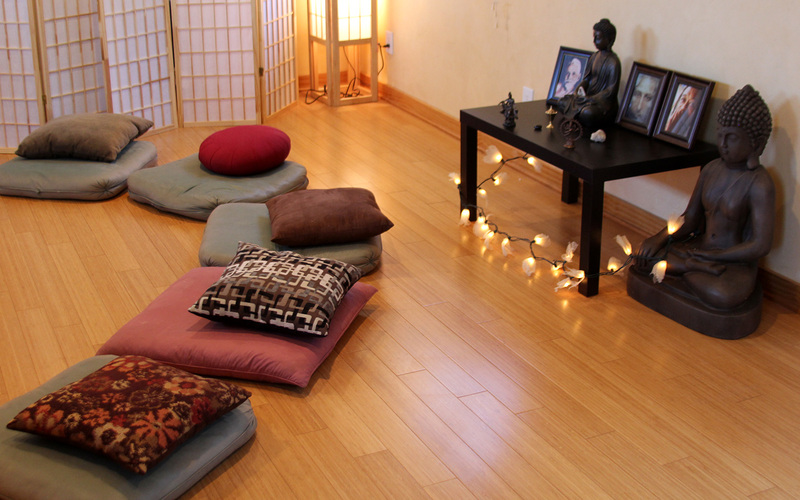 The meditation room or zendo is a quiet place where you can sit, immerse yourself in the peace, silence and stillness, allow your thoughts to settle down and fade away and experience the deep inner presence, stillness, love and wisdom of your awakened heart. If you like to sit on the floor, we have cushions and sitting matts for you. If you prefer a chair, we have those too. The Zen garden is also a beautiful place for stillness where inner wisdom has an opportunity to emerge, where we can feel our oneness with all that surrounds us. The peace and beauty of this garden make it a wonderful environment for this inner wisdom to arise. Are spiritual experiences and awakening the same thing? Why don’t spiritual experiences last? Awakened Masters say awakening to Truth is the simplest thing there is. Why are so few of us awake? Discover the answers to these questions and more. Learn why suffering exists and how to be free of it. Discover simple practices that immediately expand your conscious awareness. Learn a simple and powerful practice that will transform the way you see the world and yourself. 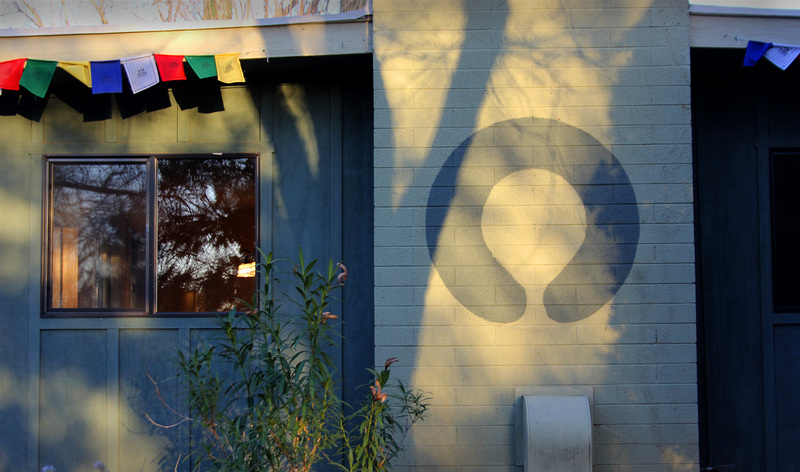 Join us for a Living Awake Satsang and Dharma Talk each Monday from 7:00 to 8:30 pm at the Sedona Zendo of the Awakened Heart. Practices are taught that not only lead to the direct experience of awake presence but that you can use in daily life to continue living in this way. There is a suggested donation of $10. Peter had a profound awakening experience at twenty-two that transformed his life. After ten days of this freedom, peace and bliss, the experience faded and he returned to his conditioned self-identity. This began a 40-year spiritual search that finally flowered into the continuous awakened presence it is today. There is a weekly meditation group that meets every Wednesday from 7:00 pm to 8:30 pm. If you need meditation instruction, please come 20 minutes early. We practice silent sitting meditation, walking meditation and being together as a Sangha. 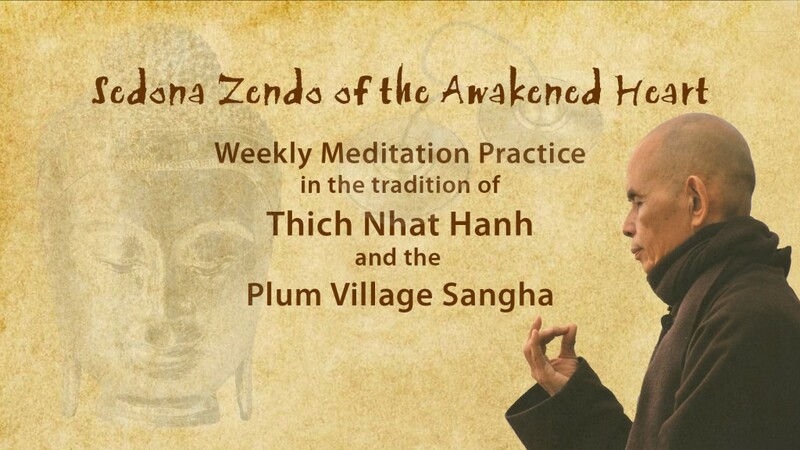 We practice in the tradition of Thich Nhat Hanh and the Plum Village Sangha. Peter has been a student of Thay’s (Thich Nhat Hanh) for over 30 years and is ordained in the Order of Interbeing. Practicing meditation in a group at least once a week is very helpful for developing a solid and consistent meditation practice. Teaching and mentoring are also available on an individual basis. This can be a very powerful way to break through any blocks or resistance to your awake presence. Individual sessions are $50 per hour. 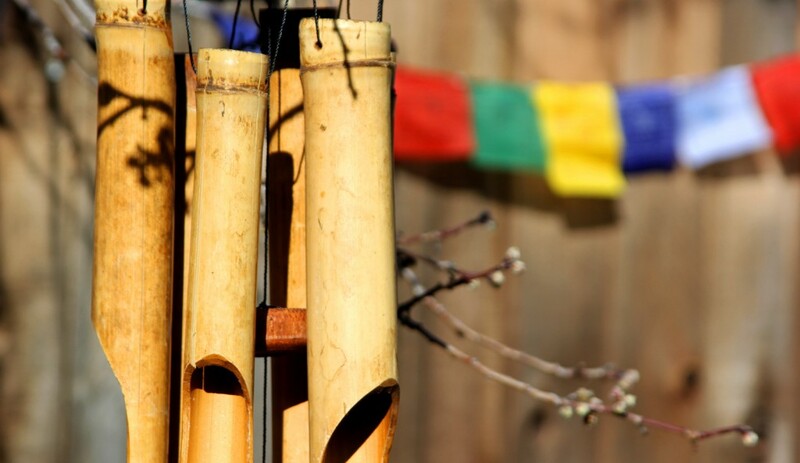 We will soon be offering weekend and weeklong silent retreats, one day workshops on a variety of advanced spiritual practices, a tai chi class outside in the garden (bare feet on the grass), and some beginning classes in meditation and mindfulness. There will be information on the website about these as they happen.